ASTM F3097-15 is a standard practice for installation of an outside sewer service cleanout through a minimally invasive small bore created by a vacuum excavator. 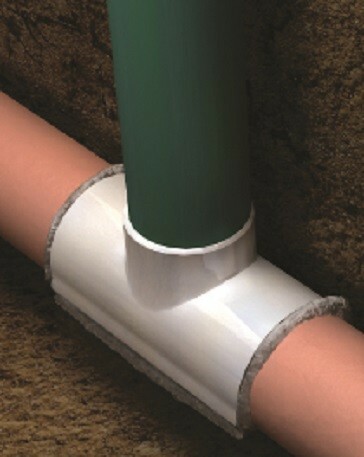 The process begins with locating the service lateral pipe by use of a locatable sewer camera that is robotically launched from the main pipe. Once the lateral pipe is exposed, a self-clamping saddle is prepared with a special adhesive and lowered into the small diameter bore hole until it contacts the lateral sewer service pipe; a downward force is applied to the riser pipe causing the side walls of the saddle to spread and encompass more than 50 percent of the host pipe.